Westgrove have the experience to offer a totally bespoke management solution. Whether a mixed use tenant dynamic incorporating high footfall public domains with retail, restaurants and residential elements or servicing high profile prestigious corporate HQ’s Westgrove have the experience to offer a totally bespoke management solution on a single or multi-site portfolio basis. With Partners that include Peel Land and Property and their iconic Media City development (click here to read the case study) our approach is wholly flexible and orientated around each premises trading metrics. 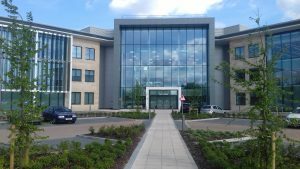 From large scale Executive Grade A office environments through to major new build brownfield developments enhanced by our unique customer services ethos our pedigree is second to none.